Traditionally, Lawn mowers have been powered by gas. While many top gas-powered models are still produced, they can be noisy and polluting, and now, many people are turning to electric versions. If you would rather choose a quieter and more environmentally-friendly mower, there are some great options available – so here are our top picks for best electric cordless Lawn mower. If you have a small to medium sized lawn and are looking for a lightweight and compact electric mower that is easy to handle but that doesn’t lack power, this model from Greenworks could be worth a look. It is part of Greenworks’ wider range of garden power tools, all of which use the same batteries. 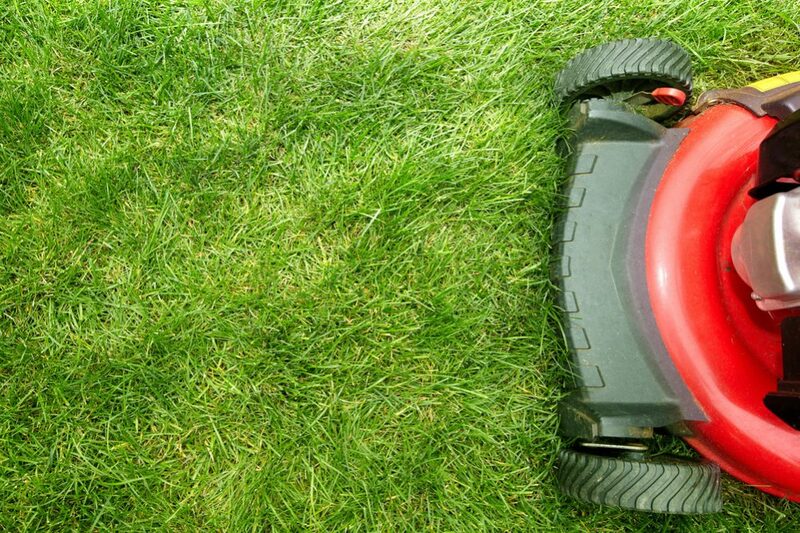 This means you may already have extra batteries at home that are compatible with this mower. The 40v lithium-ion battery it comes with can give you up to 45 minutes of continuous use, a very respectable amount of time and plenty for most smaller yards. If you need longer, it is easy to buy a backup battery to double the length of time you can work for. All the features of this mower are easy to use. For example, it includes an adjustable height setting, which you change using a single lever. You can select heights between 1¼” and 3⅜”, allowing you to choose exactly how long you want your grass. This mower is a 2-in-1 model. This means you can choose what happens to your grass cuttings as you mow. If you want to add them to your compost pile or simply discard them, you can choose the bagging mode to collect them up as you go. Alternatively, you can choose the mulching mode to spread them directly onto your lawn. As we said, this is a compact and lightweight mower. It has a 16” cutting deck, which is enough for most smaller lawns. If you choose a larger model, it will cut more grass with each pass, but it will also be heavier and bulkier. For this reason, a smaller model like this is more suitable if the area you need to cover is not too extensive. At only 37.5lbs, this is also a mower that won’t wear you out each time you need to cut the grass. 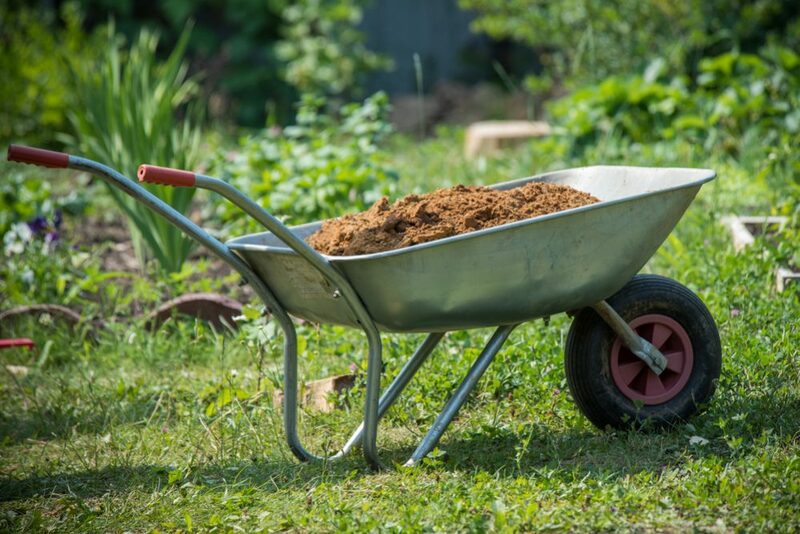 Overall, this an ideal pick for someone who wants something small and quiet that will easily be able to deal with small or medium-sized lawns. However, if you have a larger area to mow, you might choose to pick a slightly bigger machine. If you like the sound of the Greenworks mower reviewed above but you feel you need something a bit bigger and more powerful with a few extra features, this model could be a better option. It has a large 21” cutting deck, which means each pass will cut more of your lawn, reducing the number of passes you need to make and so saving you time. The battery offers an exceptional level of performance, allowing you to work for up to an hour on a single charge. Furthermore, there is no loss of power during this hour, meaning you can keep mowing right until the battery is empty. Batteries also charge very quickly – if your battery runs out before the job is done, you will only have to wait half an hour before it is ready to go again. This mower offers you three options for how to deal with the clippings. Like the model above, you can choose between bagging or mulching. However, this unit also gives you the option of simply blowing the clippings out of the side, offering you even more flexibility. One of the great features this mower includes is the Smart Cut load sensing technology that detects the length of the grass and adjusts the height automatically. You can also adjust the height manually, with a number of settings ranging between 1⅜” and 3¾”. Another important addition to this Lawn mower is the brushless motor. Brushless motors have several advantages over other types – they are more efficient, have increased run time and give more torque and more power, all helping to prolong the life of the mower. One other useful adaptation is the way this mower can be folded up and stored vertically when not in use. This helps significantly reduce its footprint, saving you a lot of space. This mower is another high-quality product from Greenworks, but this model is more suitable for those with larger lawns to cut or tougher, more challenging grass to deal with. If this sounds like the kind of mower you are looking for, this larger model should be high on your list of options. This advanced mower from Ego Power+ is a highly impressive piece of garden equipment and includes plenty of features that are designed to take all the fuss and hassle out of mowing your lawn. One of the most outstanding aspects is the amount of use you can achieve from just one battery. Depending on the battery unit you use, you can expect up to 90 minutes of cutting time, more than almost any other mower can provide. It is also quick to charge. It is also an extremely quiet mower – the manufacturer claims it is up to 30% less noisy than comparable gas-powered mowers. 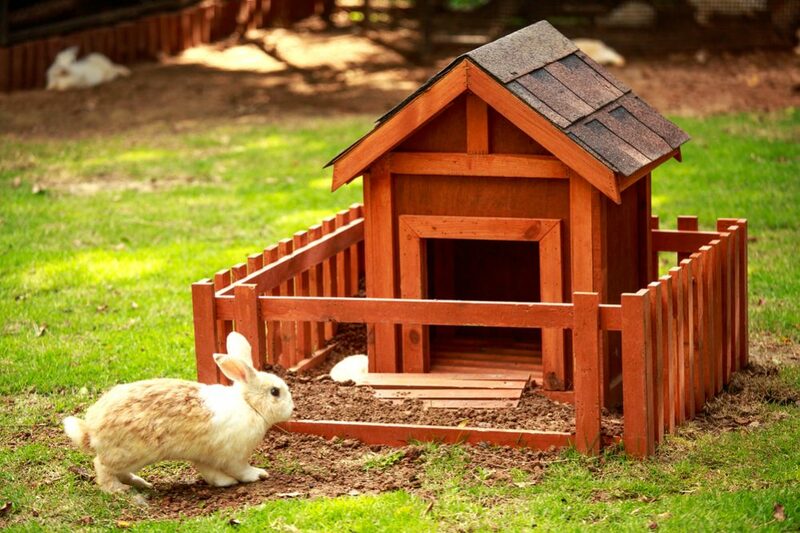 It certainly allows you to take care of your grass without generating excessive levels of noise pollution. Another great addition, and something you don’t see on many other mowers, is the LED headlights. This is a wonderful idea that allows you to cut your grass even in the early morning or at dusk when there wouldn’t normally be enough light to work. This mower is weather-resistant, and the large 20” cutting rack allows you to cover more ground with each pass, reducing the overall amount of time you need to spend cutting your lawn each time. 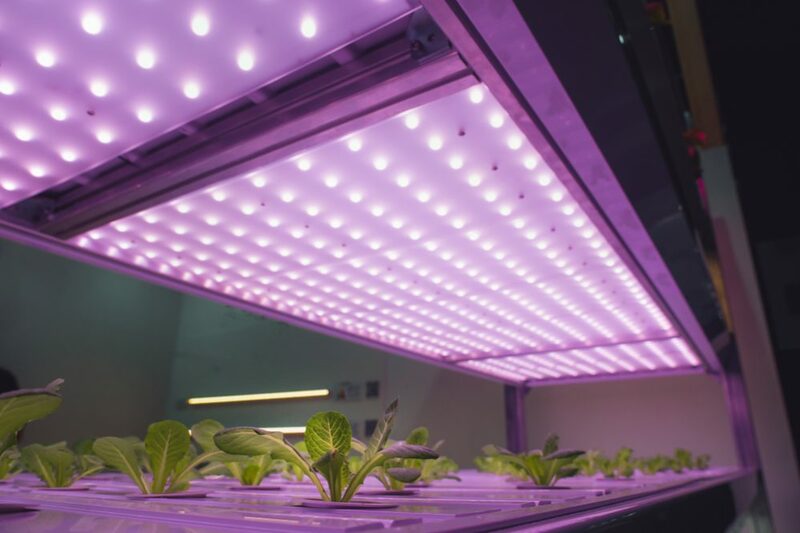 It is easy to start, incorporating a push-button starter system, and it also offers three modes for dealing with cuttings – bagging, mulching and side discharge. This lets you choose exactly what you want to happen to your clippings after you finish mowing. Finally, another thing we love about this model is the way it folds up for maintenance and storage. This greatly facilitates cleaning and looking after it, as well as making it practical and convenient to store when not in use. This is a well-designed, high-performance mower that easily ranks among our favorites. If you are looking for a mower that can easily take care of even larger or more unruly lawns and that includes plenty of useful extra features, this is a machine you may wish to consider. Another option for a powerful and reliable cordless Lawn mower could be this model from Snapper. 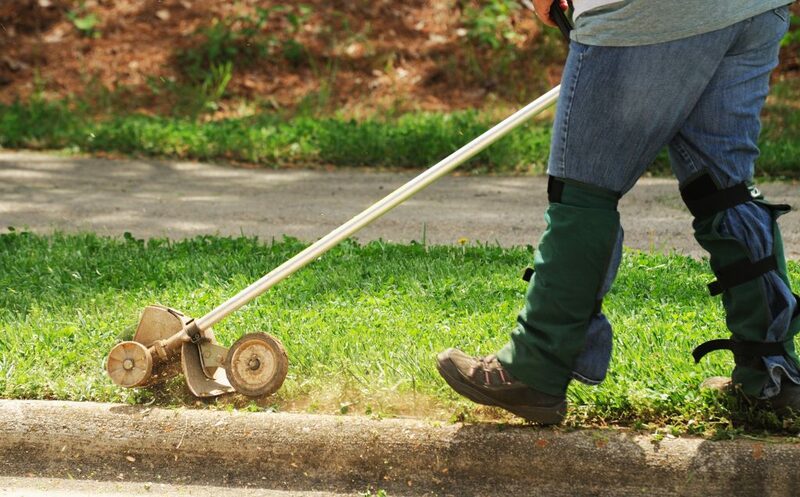 It is designed to deal with even any tougher mowing jobs you need to take care of and will take much of the trouble out of dealing with unkempt lawns. It has a 19” cutting deck, allowing you to mow broad swathes of lawn with every pass, and it comes with two 82v lithium-ion batteries. Each one gives you up to 45 minutes of cutting time, so with two, you can mow for up to an hour and a half, plenty for most gardens. The mower also comes with a rapid charger, meaning that even if you need to mow for more than this, you won’t have to wait long before the batteries are ready to go again. This mower also features load-sensing tech, automatically adjusting the power according to the conditions – this can also help conserve battery power. The motor is a brushless version, providing improved power, efficiency and durability. It has 3-in-1 cutting collection functionality, allowing you to choose between bagging, mulching or side discharge. 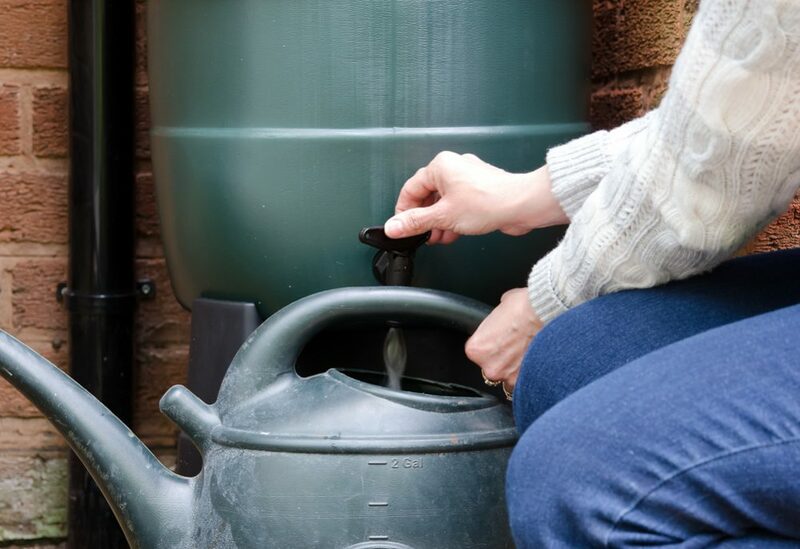 This is especially handy if you need to use your cuttings for both composting and mulching. The Snapper is also designed to be comfortable and easy to use. It features an ergonomic handle and push-button start system, while also allowing you to switch easily between any of the seven height settings. It weighs only 59.5lbs, also helping to keep it as manageable as possible, and the oversized wheels mean it performs well, even on uneven terrain. Finally, this is another mower that features a vertical storage option. If you are short on space, you simply fold it up and store it upright, saving you a lot of space in your garagee. Overall, this is a great option for someone with a medium sized lawn – and is even suitable for tough grass or bumpy surfaces. If you need something you can rely on to get the job done, this is another mower that is worthy of your consideration. If you have a smaller yard and you are looking for a more compact electric mower to match, this could be one of the best options currently available. With a cutting deck of only 14”, it is small enough to give you extra maneuverability in even the tightest of spaces. This will allow you to mow with extra precision, even in hard to reach corners or in places that are awkward to mow with larger machines. This mower comes with two 40v batteries that give you plenty of power to take care of your lawn. The mower also features a prominent and easy-to-read power indicator that lets you know how much battery is left. One of the best features is the patented Intellicut technology. This allows the mower to deliver more power on demand when it is needed but to save power when not required, prolonging battery life where possible. This is a mower that has been designed with comfort and convenience in mind. It includes foam-padded handles that help reduce fatigue, and it can be operated with two hands or just one, as you prefer. This is a great mower for all seasons. It features 2-in-1 clipping collection, allowing you to bag up clippings or spread them over your lawn as mulch. You can also choose between three height settings, allowing you to choose the best height for the time of year. Adjusting the height is easy, too, and is done with a single lever. Starting the mower is also easy, with a push-button starter. 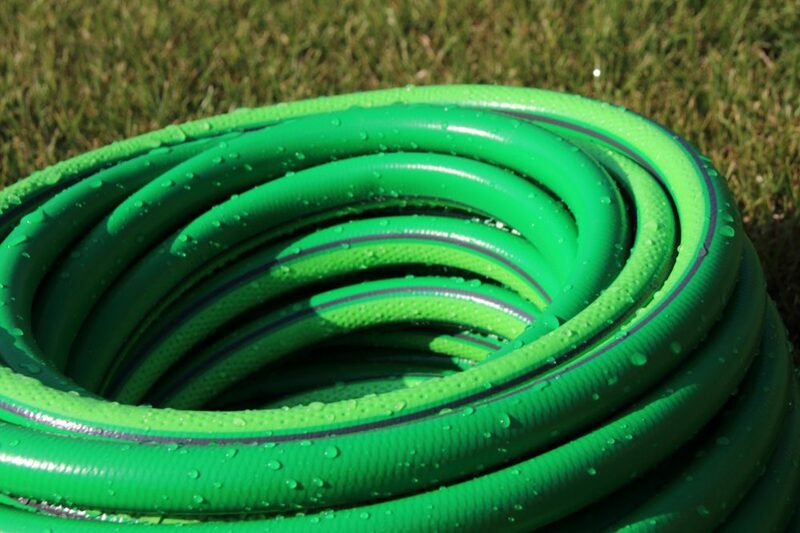 This is much easier than with the kind of pull-cord system that is usually found on gas-powered mowers. From all the mowers on our list, this is the obvious choice for people with smaller yards or lawns to tend to. 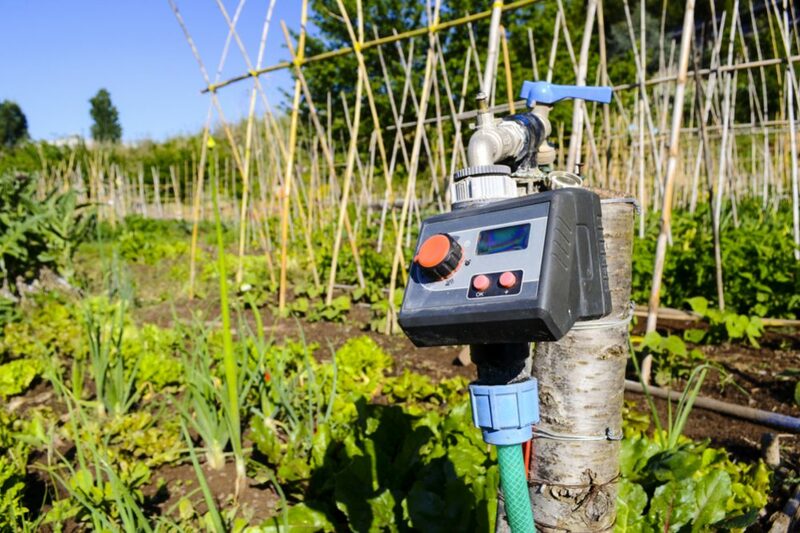 Since there’s no point buying something more expensive or powerful than you need, if your garden is not so big, this could be the ideal pick for you. If you are used to pushing a heavy, noisy, gas-powered mower over your lawn and this is your first time with a cordless electric model, this mower will come as a revelation. It is light, maneuverable and quiet – and yet still isn’t lacking in power. It has a large 21” cutting deck, allowing you to mow larger areas of lawn with each pass. The single lever-operated height adjustment also allows you to choose between seven different heights, giving you maximum control over how long or short you cut your grass. This model benefits from a 60v brushless engine – as we’ve already mentioned, brushless engines are known for giving higher levels of efficiency and power while extending the working life of the mower. The mower comes with one battery, which provides enough charge for a mowing session of up to 45 minutes. 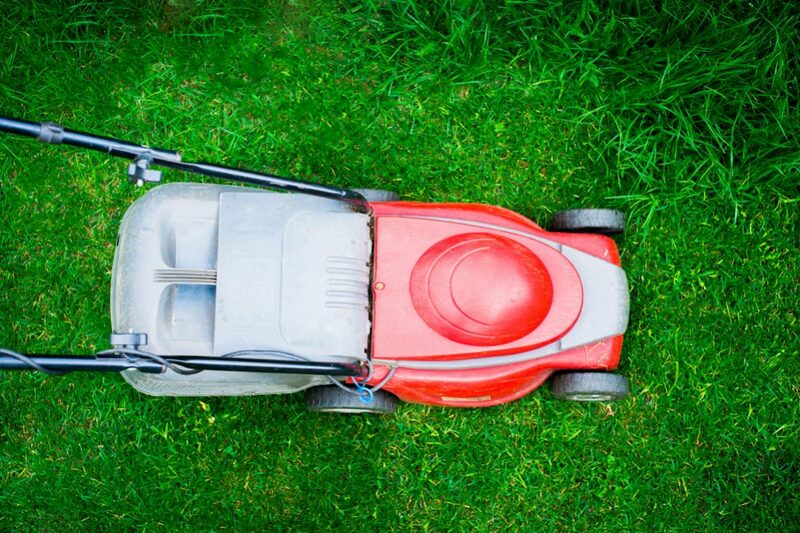 If you buy an extra one, you can mow continuously since one battery will fully charge in the time it takes for the other to empty – a highly practical solution. We also like the large, oversized wheels on this mower. If you have an unlevel or bumpy surface to mow, this machine will able to tackle it with no problems. This is also a 3-in-1 model, meaning you can choose between bagging, mulching or side discharge modes. This gives you plenty of flexibility over how you deal with the cuttings that are left over after mowing. This mower is perfect for lawns of up to around half an acre. However, if your storage space is limited, this model can also be folded up and stored vertically, saving you vital extra space in your garage or shed. Overall, this is a well-designed and reliable machine that will help take the effort out of mowing the lawn. If you are looking for a decent-sized mower that will be able to deal with anything up to a medium sized lawn with no difficulties, this model should be on your radar. If you are looking for the perfect combination of a compact mower with great maneuverability and a machine that is big enough to deal with anything up to medium-sized lawns, this is a model that could be of interest to you. It features a brushless motor that is designed to give extra efficiency and power. It is also made to last longer than other types of motor – this one should give you around 2,000 hours of use. It also helps cut noise and vibrations, reducing fatigue from prolonged use. It has a simple height adjustment system that allows you to choose from six positions, ranging from 1.18” to 3.15”, allowing you to control precisely exactly how short you cut your grass. With this mower, you have two options for what happens to your clippings. Either you can collect them up in the 9.25-gal bag that comes with it or you can spread the clippings over your lawn to return the nutrients and help keep it healthy. The battery itself is a 40v lithium-ion unit and can give you up to 40 minutes of mowing time with each charge. This mower is also super-quiet and will get the job done with a minimum of noise. It is also an extremely comfortable machine to operate. It is compact and lightweight, weighing in at only 33lbs. This means it won’t require too much effort to push this mower around, even for longer periods. This is also a mower that is easy to use. It benefits from a push-button starting mechanism, making it far easier to start than a gas-powered model, and the handle also features an intuitive and ergonomic design to make mowing as simple and painless as possible. This is a handy little machine that is ideal for smaller or medium-sized lawns – it’s big enough to handle jobs of this size, but at the same time, it’s small enough to be able to maneuver easily. This would be a great pick for someone who wants to find the perfect balance between size, power and ease of use. 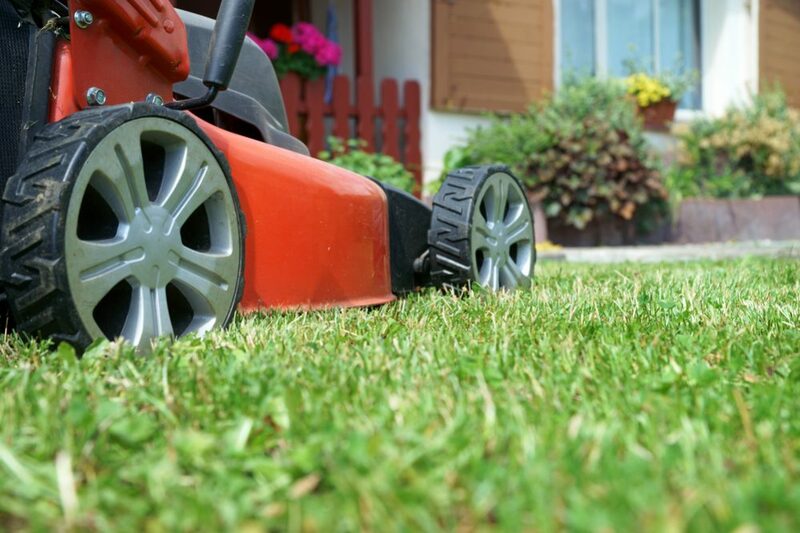 If you are looking for a new Lawn mower, you might be wondering about the differences between an electric cordless model and a traditional gas-powered one. What are the advantages and disadvantages of each? First, let’s look at the relative merits and drawbacks of each type – after that, we can offer a few tips on what to look for when choosing the right electric cordless mower for you. 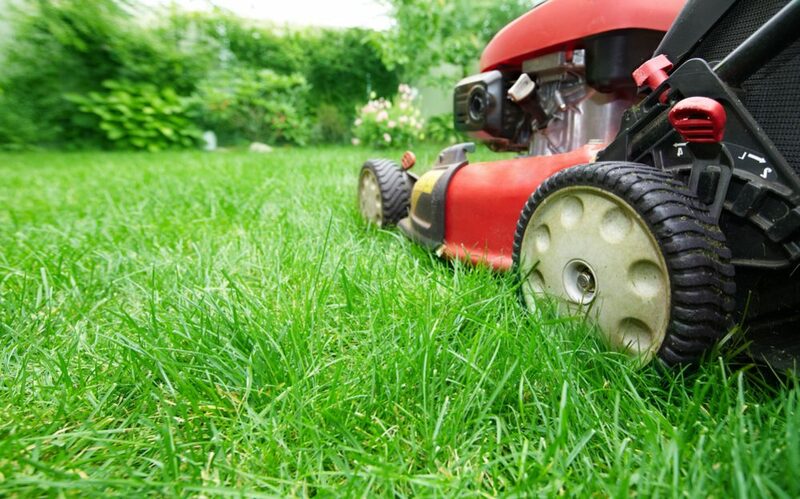 What are the advantages and disadvantages of gas-powered mowers? Traditionally, Lawn mowers were powered by gas. These old-style mowers are still available, of course, and they still offer several advantages. Primarily, as with all gas-powered tools, the main advantage is the power they can produce. In general, gas-powered tools are much more powerful than battery-powered versions, and this rule also holds true for Lawn mowers. Gas-powered units also have another big advantage – they don’t ever run out of battery. Sure, they can run out of gas, but when that happens, all you need to do is top them up again and you can keep mowing. With a battery, you have to wait for it to recharge. So what about electric battery-powered mowers? Battery-powered electric mowers also have some significant advantages over gas-powered versions. One of the most obvious advantages is the amount of noise they produce. Gas-powered tools are noisy – and a battery-powered mower can seem practically silent by comparison. Another reason why some people favor battery power is the emissions caused by gas-powered mowers. If you prefer a greener alternative, an emission-free battery-powered mower is the ideal solution. Furthermore, many modern battery-powered mowers are being developed that can minimize their disadvantages while maximizing their advantages. For example, some of the most powerful mowers come close to providing as much kick as a gas-powered version, and battery life is improving too – and if battery life is a real issue for you, you can simply buy two and charge one while you use the other. One other point worth mentioning is maintenance – since electric mowers require much less work. You don’t need to worry about oiling them or tuning them to keep them in good working order. Electric mowers are also easier to start – generally, you just push a button rather than yanking a cord to get the engine running. 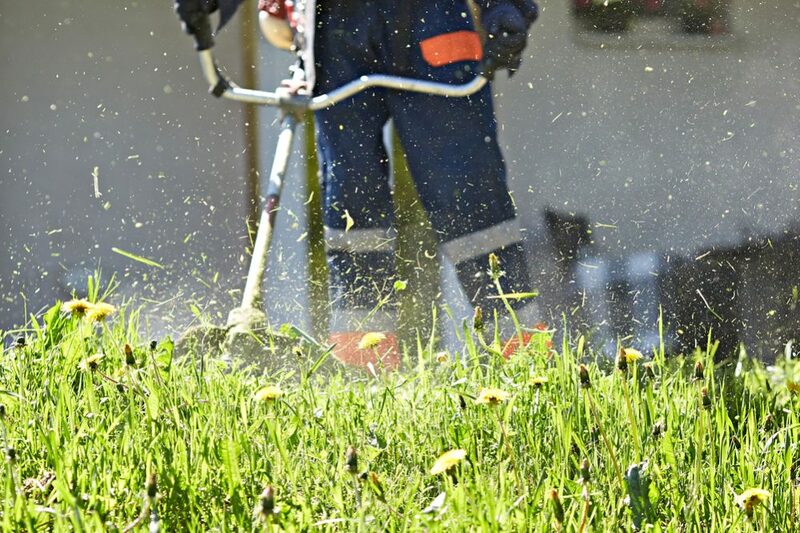 What all this means is, if you want an environmentally-friendly option that is emission-free and that also makes a lot less noise, one that is easier to maintain and one that is simpler to start and use, a battery-powered mower could be just what you need. 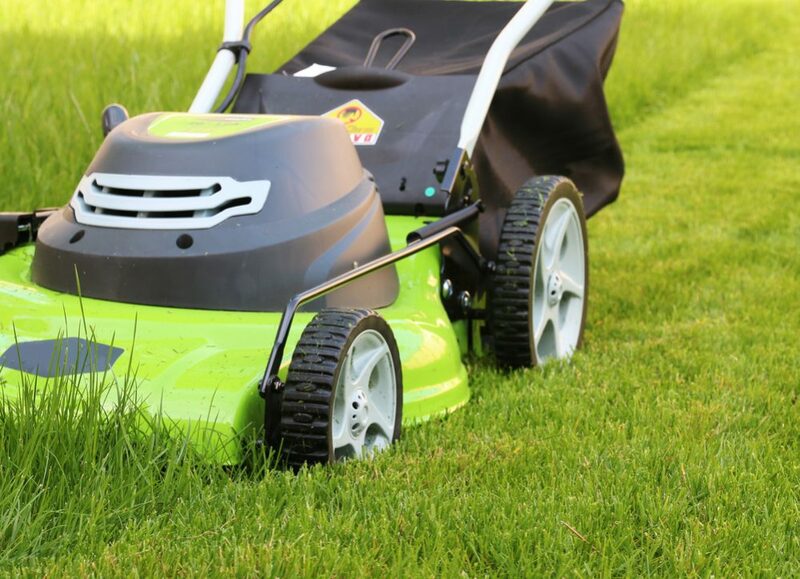 If you’re convinced that a battery-powered mower is the way to go, you’ll probably be interested in knowing what to look for when choosing one. Here are some of the most important points to take into consideration. Weight is a key consideration when choosing a Lawn mower. Nowadays, some mowers are self-propelled, making them easier to push however heavy they are. However, if you aren’t buying a self-propelled mower, weight makes a big difference. Remember that a bigger, heavier mower will take more effort to push around, so don’t choose one that is bigger than necessary. Try to find the right balance between finding a machine that is big enough for your lawn but that is small enough for you to manage easily. Mowers now come with different options concerning what happens to the grass cuttings after you mow the lawn. Some mowers are “2-in-1” models – this means you can either choose to collect the clippings in a bag or mulch them directly. “3-in-1” models offer you the extra option of simply ejecting the clippings from the side. If you want more flexibility over how you manage your leftover grass cuttings, think about choosing a model that lets you decide what happens to the clippings. The size of the cutting deck tells you how broad a swathe of grass the mower will cut. Smaller decks of 14” or 16” will require more passes for you to mow the whole lawn, so you will spend more time cutting the grass each time. However, they are easier to maneuver. Larger 20” or 21” models will allow you to cut the grass with fewer passes, saving you time, but you will also have to accept a heavier weight and less maneuverability. Most Lawn mowers nowadays allow you to select the length of grass they leave. Things to look out for are how many height options they give you, how easy it is to change the height setting and also the maximum and minimum heights that are possible. By paying attention to all these factors, you will be able to choose a mower that allows you to cut your grass the way you want it. Of course, when choosing a battery-powered mower, the amount of mowing time you can expect from each charge is a vital consideration. Some batteries can give you half an hour while others give you over an hour. Related to this is how quickly a battery can be recharged. If you can recharge a battery in only half an hour or so, it largely solves the problem of running out of power, particularly if you buy two. If you have limited space for storage, you should consider buying a mower with vertical storage capability. These models fold up and can be stored upright, greatly reducing their footprint and saving you a lot of space. If possible, you should try to buy a mower with a brushless motor. These motors offer better efficiency levels, deliver more power and also last longer than other kinds of motor. Many of them also have the advantages of running more quietly and reducing vibrations – so if you have the option, it’s always best to go with a brushless version. Some Lawn mowers are capable of detecting the type of grass that is being cut and how long it is and then delivering the right amount of power to cut it. This allows them to give you more power when needed but also to reduce power when not needed. This is a useful feature since it can help extend battery life. Whether you need a compact mower for a small lawn, a big and powerful machine for a larger lawn or something in between, there are plenty of electric cordless Lawn mowers to pick from. If you are trying to decide which is the best option for you, any of the seven models we’ve chosen here would be a great place to start.